Straps are an often overlooked but pretty essential piece of kit for guitarists, getting the right support across the shoulders and back is invaluable, especially if you're dealing with a solid Mahogany tone machine! Leathergraft Straps are a UK based company specialising in quality handmade guitar straps, not only do these straps provide great support but they look and feel pretty incredible too. 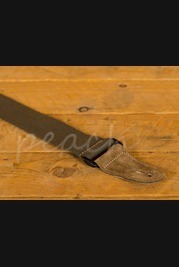 Order your Leathergraft strap online today, if you'd prefer to try before you buy then head on down to our store based in Colchester and we will be happy to assist. Our team of experienced guitar enthusiasts are always on hand online and in store to answer any technical questions and to help you find the right product. Don't forget, if you order online and spend over £100 you'll enjoy free Next Day Delivery on orders placed before 3pm.